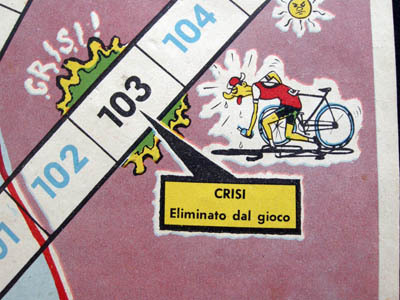 Another 1950s Giro d'Italia game-of-goose game. This one was sold in a small envelope. 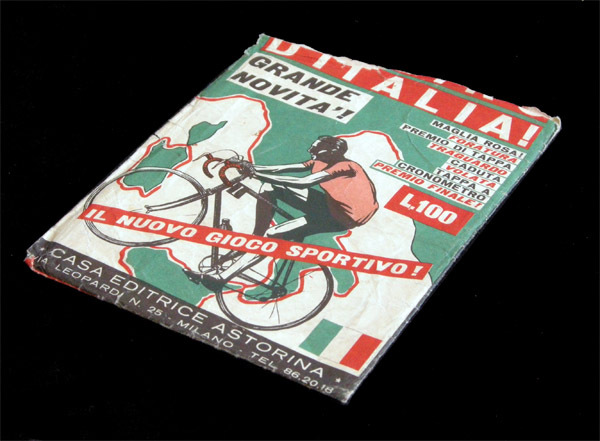 Once unfolded, the game measures 35 X 50 cms. 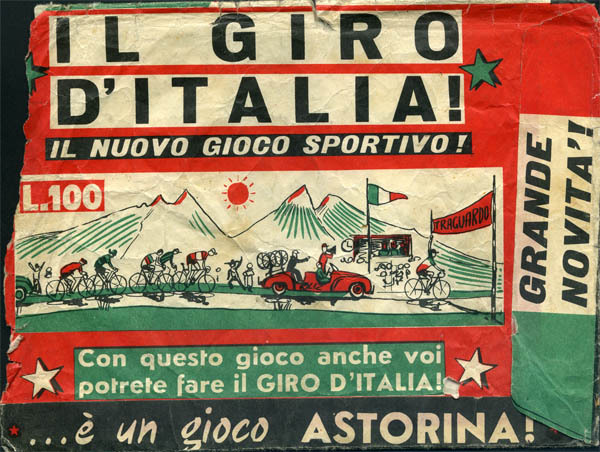 Judging from the information on the envelope, the game looks like a quite complete one, including sprints, time trials, prices for each stage, etc, but it is not. 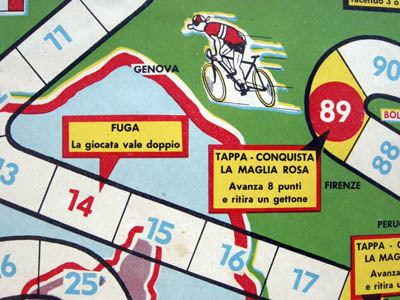 The time trial is that players who fall on th time trial square get an extra throw, or that the maglia rosa square just says "move forward 8 spaces and withdraw a counter". 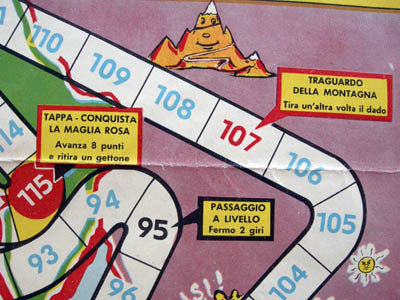 My favourite rule is "Forunculosis: Miss one turn" (square 68). 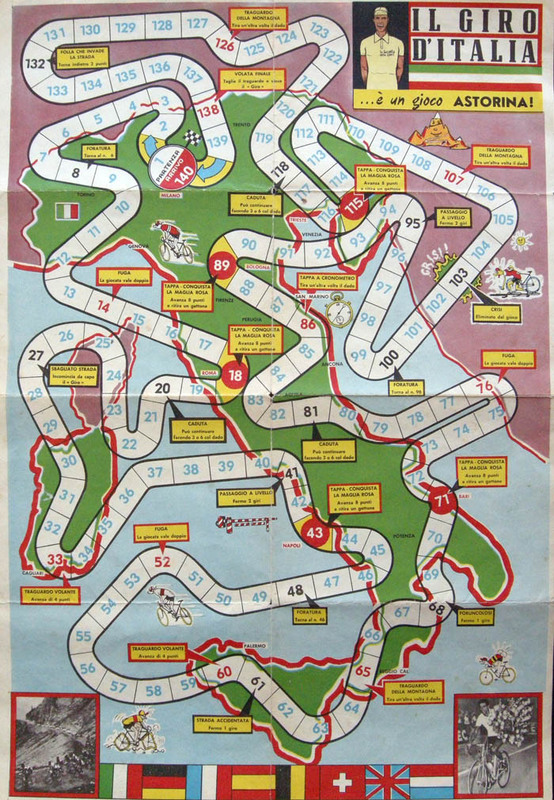 The clue for dating the game is the picture of the rider on the bottom right corner. 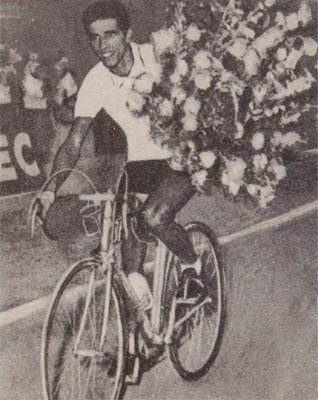 Though the picture is not too good, I would say that it is Gastore Nencini, winner of the 1957 Giro d'Italia. 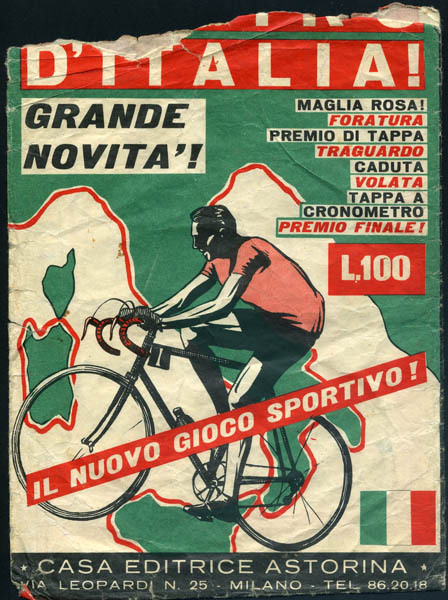 My guess (and it just a guess) is that the game features the winner of the last edition of the Giro, in which case it might be a game made for the 1958 session. Here are the missing elements of the game. 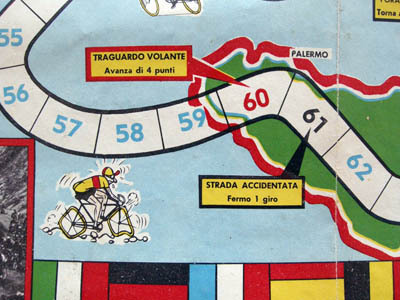 In fact there should be a sixth (yellow) rider to make a complete game. 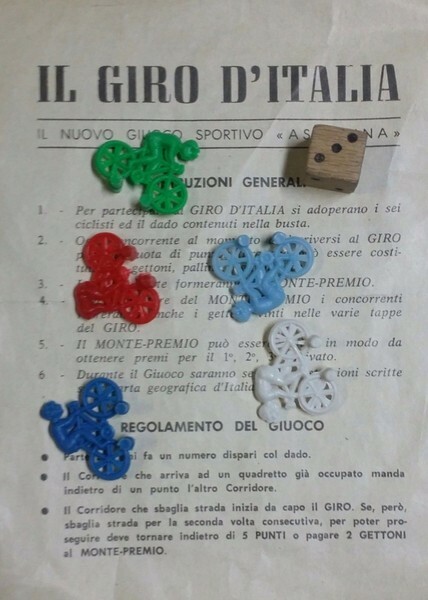 I could make my own completre game using the dice that I received with this contemporary italian game and the italian metal riders displayed here.